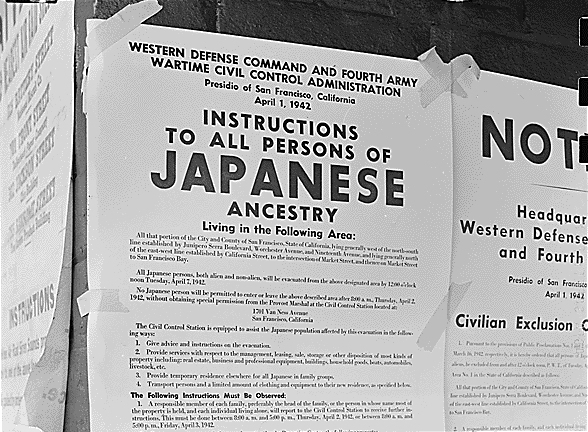 On February 19, 1942, President Franklin D. Roosevelt signed Executive Order 9066. The order, which was written in response to the Japanese attack on Pearl Harbor on December 7, 1941, created military zones in the U.S., from which certain people could be expelled and excluded as seen fit by the Secretary of War. Though the Order impacted other groups, primarily, it was intended to remove Japanese Americans - approximately 120,000 in total - from the west coast. About two-thirds of the people interned at the relocation centers were born in the United States, yet they were forced to give up their homes and businesses, and pack only what they could carry before being ushered onto buses bound for their designated camp. 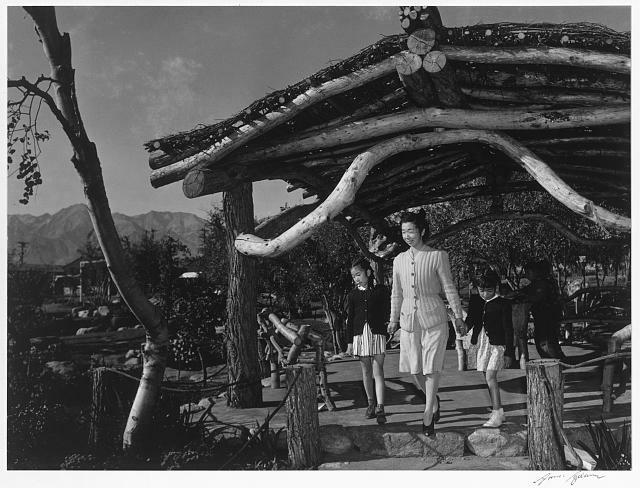 There were ten relocation centers - a nice way of saying concentration camp - set up throughout the western United States, including Manzanar, built along the Sierra Nevada Mountains about 230 miles northeast of Los Angeles. 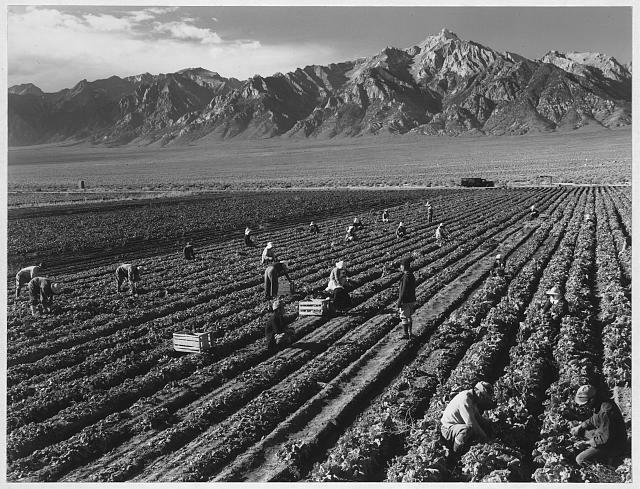 Life in the relocation centers was difficult no matter which one people were forced to live in, but Manzanar was particularly harsh. During the day, temperatures could reach well over 100 degrees; at night, it could be well below freezing. And since the camp was hastily built, its forced occupants had little in the way of shelter to protect them from the heat, cold, wind, and dust. In fact, each family had just a 20x25 foot cloth partitioned room in the barracks, like the one seen below. Though Executive Order 9066 was hailed by many at the time as a necessary move to protect national security, others, including famed photographer Ansel Adams, saw it as a complete outrage. 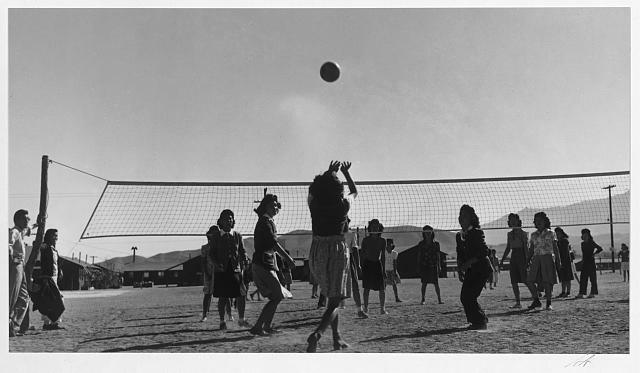 So, when he was invited to photograph Manzanar by Ralph Merritt, a good friend and the camp's supervisor, he jumped at the chance. Adams had already gained fame from his employment for the Department of the Interior photographing the nation's national parks, Indian Reservations, and other iconic sites across the country. 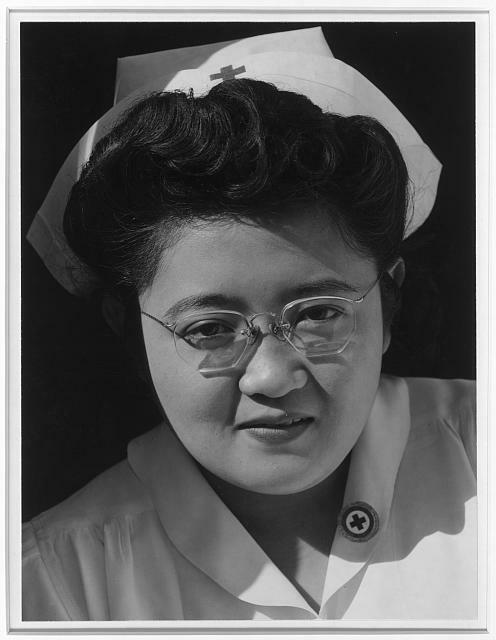 Now he wanted to use his camera to show that the people interned in the relocation camps were patriotic Americans being held against their will, like Red Cross Instructor Catherine Natsuko Yamaguchi, pictured below. 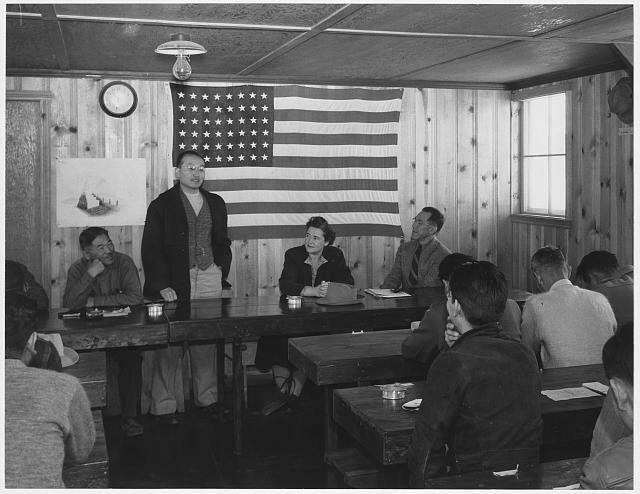 Of the more than 200 photos in Adams' Manzanar collection, the vast majority are portraits of people interned there. Adams also wanted to document daily life at the center, if nothing else to show the resiliency of its internees and their determination to carve out as normal of an existence within the walls and barbed wire as humanly possible. 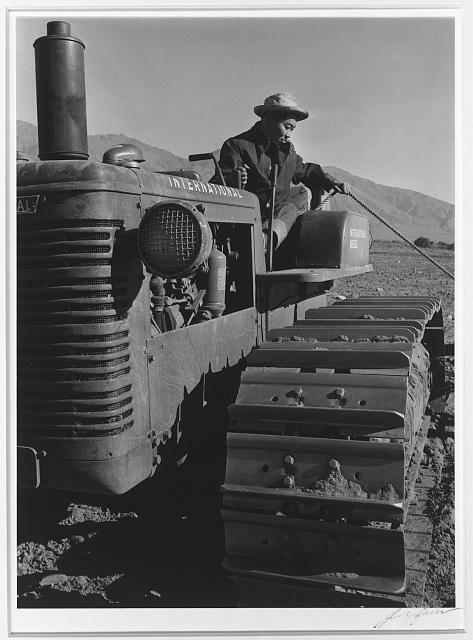 Photos of farmers working the fields, kids in school, and leisure activities at the camp demonstrated just how hard the internees worked to have some level of normalcy, even if they were guarded at all times by military police. The purpose of my work was to show how these people, suffering under a great injustice, and loss of property, businesses and professions, had overcome the sense of defeat and dispair [sic] by building for themselves a vital community in an arid (but magnificent) environment....All in all, I think this Manzanar Collection is an important historical document, and I trust it can be put to good use. 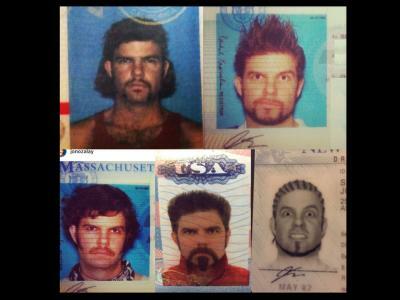 In looking at his photos, you get a sense for just how vital the community really was. 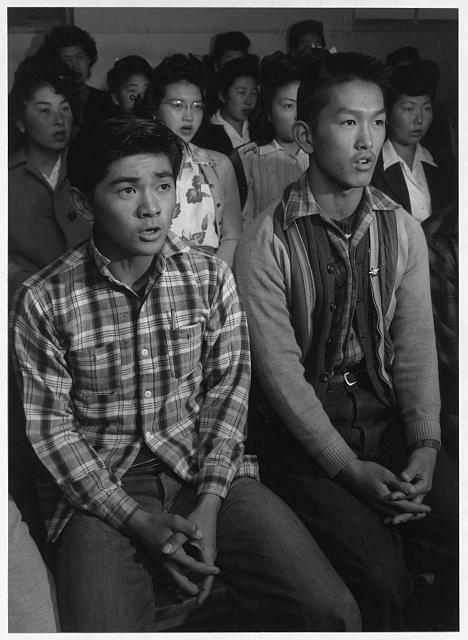 The photos Adams took during his visit were, in a way, comforting to people that viewed the internment of Japanese Americans and Japanese immigrants as a Constitutional crisis. After all, seeing images like the one above, in which its subjects are smiling and seem perfectly happy, likely allayed the fears of many that the relocation centers were difficult places to live. But despite appearances in the photos, Manzanar and the other relocation centers were most definitely difficult places to live. Out of view in many of the photos Adams took were the eight guard towers armed with searchlights and manned by armed military police. More than 10,000 people were crammed into 504 barracks, each of which was organized into 36 blocks. There was virtually no privacy in the barracks, with shared men's and women's restrooms and showers. In each 20x25 foot room, eight people shared a single oil stove and a hanging light. Each person had a cot, blankets, and a mattress filled with straw. There were no other furnishings. But, again, Adams wanted to focus on the resiliency of the people interned in the centers, and that he did. His images show people making the best of a terrible situation, establishing clubs and newspapers, churches and temples. 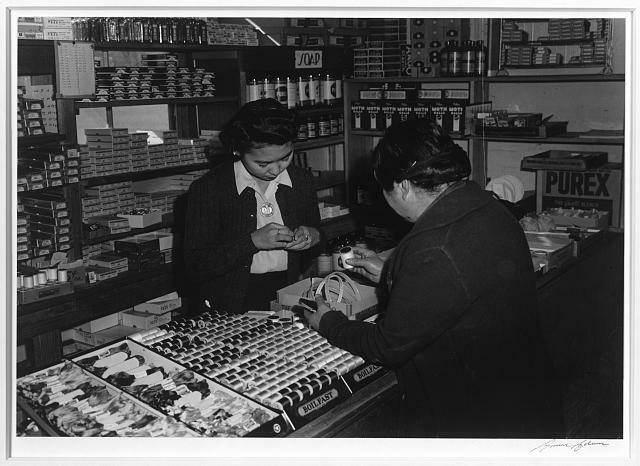 Manzanar even had a general store, a bank, and a beauty parlor. Many internees worked in the camp. Some dug ditches and irrigation canals for the agricultural fields while others raised cattle, chickens, and other animals. Still others made furniture and clothing for themselves and others in their barracks. The camp even had a corps of doctors, firefighters, police officers, and teachers. 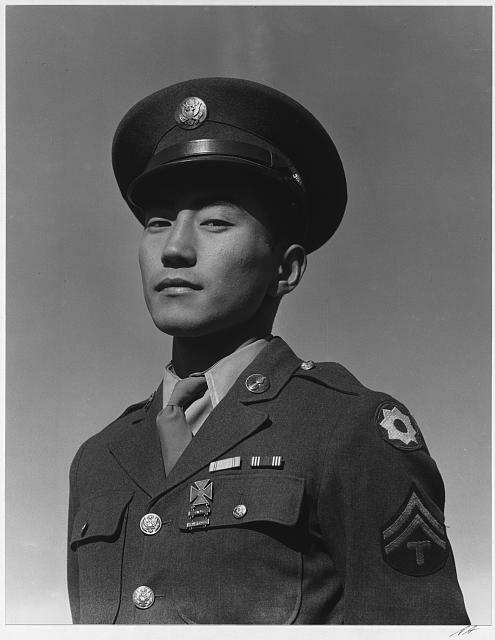 And despite the appalling treatment of their friends and family by the U.S. government, thousands of Japanese Americans served in the U.S. Army, many of which volunteered. In fact, one of the most decorated Army units of all time was the 442nd Regimental Combat unit, comprised almost completely of Japanese Americans. 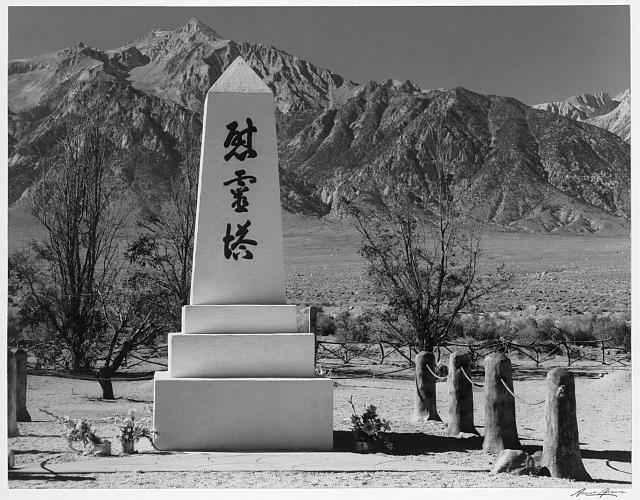 From 1942 until 1945, Manzanar held 11,070 Japanese Americans. At its peak in September 1942, over 10,000 internees were in the camp. By 1944, many restrictions were lifted and internees were allowed to leave the camp. 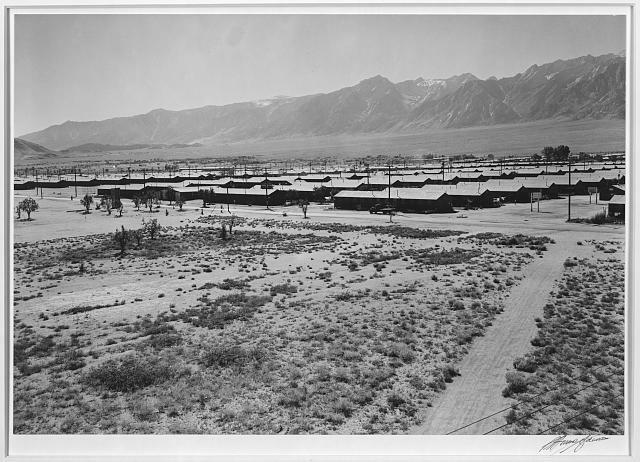 As a result, the population of the camp was down to 6,000 by the end of 1944. 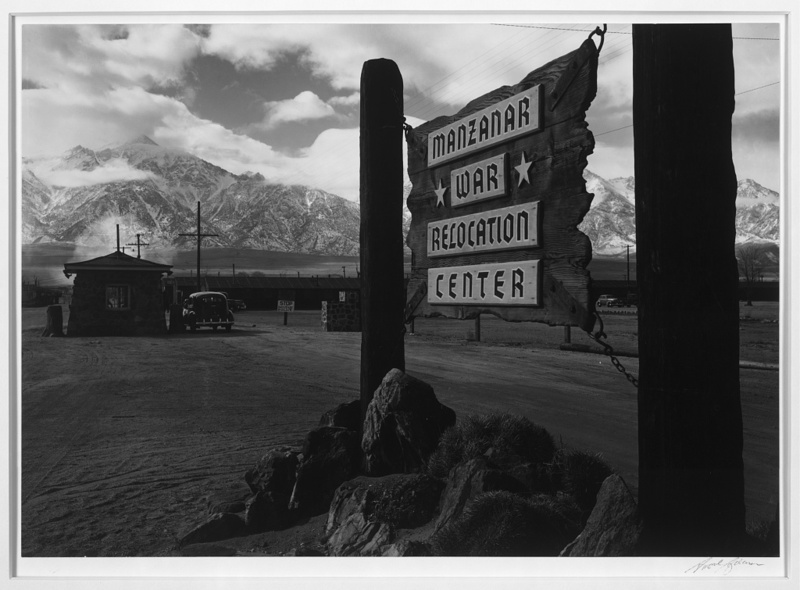 In November 1945, Manzanar was officially closed and the few hundred remaining internees were released. Over the course of three years, the camp say 146 internees pass away. 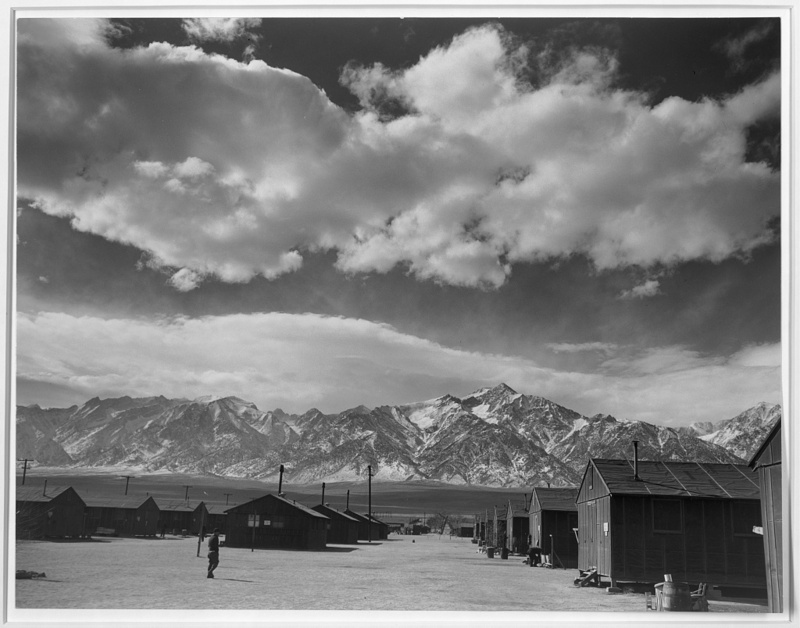 At the time, the photos that Ansel Adams took at Manzanar didn't do much to sway public opinion against the internment camps. 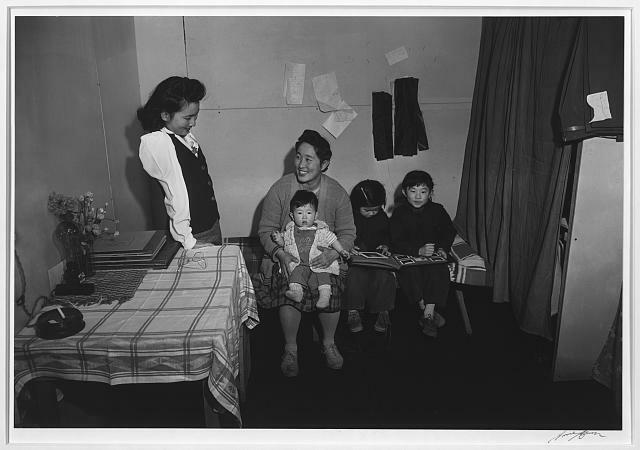 However, by the time his photos were bestowed to the Library of Congress in the 1960s, a movement had begun to redress Japanese Americans for their treatment during the war. Two decades later, in 1988, Congress passed legislation apologizing for the racial hysteria that led to internment, and authorized reparations to the victims. In all, the surviving internees and their heirs received $1.6 billion as redress. Adams' photos serve as a reminder that photography is an incredibly powerful medium, one that doesn't just capture a moment in time for posterity, but one that can turn the tide of public opinion in a new direction. Perhaps Adams best summed up the whole experience when he said, "The broad concepts of American citizenship, and of liberal, democratic life the world over, must be protected in the prosecution of the war, and sustained in the building of the peace to come." 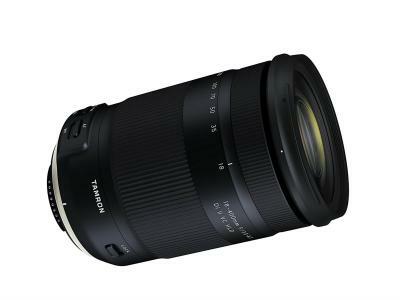 Protecting those ideals can certainly be helped by the work of photographers with their cameras and lenses. 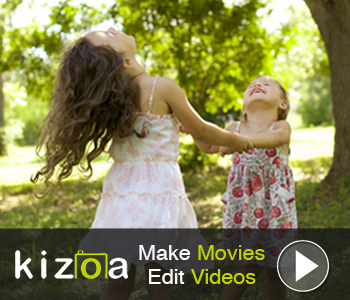 Via the Library of Congress, the National Park Service, Wikipedia, and Mashable.